The Matterhorn reflected in the cool waters at Riffelsee Lake. 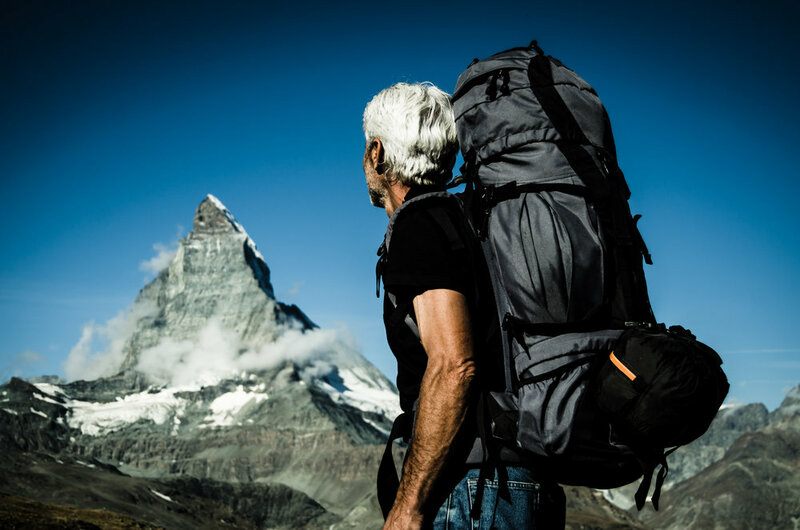 We set out with a goal: to climb the Matterhorn. It’s the impressive peak you can see in the photo above. Standing at an impressive 4.478 metres or 14.642 ft above sea level. The climb itself involves what they call a severe scramble of over 1200 metres on rock and snow. Though believe it or not, its not usually the climbing that is the biggest difficulty: it’s finding the path. It almost sounds a little stupid, but when you find yourself on the mountain, little short of a massive pile of rubble, everything looks awfully similar. Don’t believe me? Check out some of the photos below! At a whopping 1250€ per person to be rushed up the mountain by a local expert guide, we chose to attempt it ourselves. So we set off from the Hörnlihutte alpine hut at the base of the mountain at 5:00 am. The first hour in the cold, wet and pitch black. Light enough to see by 6 am, the Sun begins to hit the mountain around 7. By 8, the Sun begins to melt the thin layer of ice and snow on the rocks. To be on track, we had to meet 4000 metres within the first 3 hours of climbing, some time between 8-9 am. And guess what! WE FAILED! Perhaps our bags were too heavy. Perhaps we just did too much hiking in the days leading up to the climb. Perhaps we just didn’t have enough training. Most likely, it was a combination of all of them. Whatever the reason, after some 5 hours of heavy climbing, we finally reached the Solvay emergency hut at 4000 metres, absolutely wrecked. Perhaps we could have pushed through for another hour or two and maybe, with a bit of luck, reached the top. Some might say we gave in too soon. The concern, however, was not with not having the energy to reach the top, but rather with not having the energy to make the journey back down the mountain. As we well knew, it’s on the way down that most accidents occur, usually due to a lack of physical strength, concentration and time. The weather has a tendency to change for the worse in the early afternoon. It’s then when climbers, exhausted and rushing down the mountain, run into trouble. It only takes one slip! For that reason, it was at that point that we made the decision to turn back. We took a small break and began our descent. On our way down, stopped at the Hörnlihutte to collect some luggage we had left behind and headed straight for the village below. But worry not, for failure is nothing to be ashamed of. We at least succeeded in one thing: We can officially confirm that the Matterhorn is nothing short of a beast of a mountain! 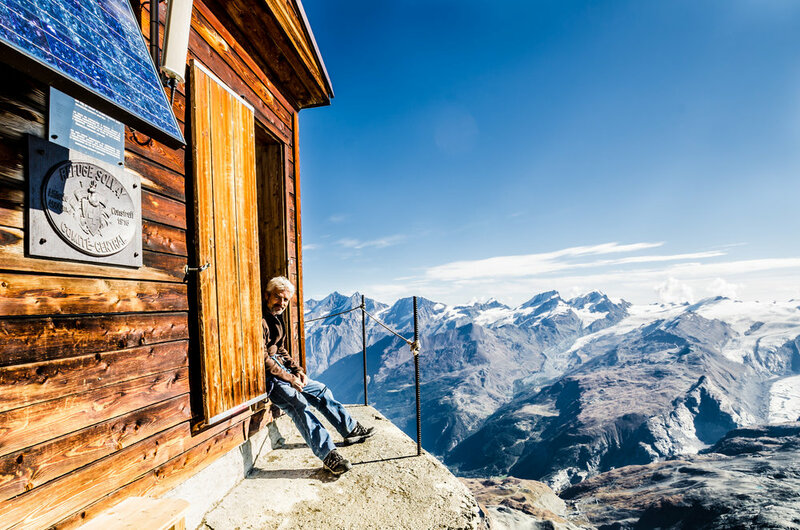 The Matterhorn overlooks the beautiful village of Zermatt below. The approach to the Hörnlihutte at the base of the Matterhorn. This is how far up the mountain we made it! Not a bad effort I think! The Solvay Hut was the highest we got, standing on the edge of the mountain at 4000 metres. She looks daunting from a far, and even scarier up-close. Commencing the descent from the Solvay hut. Hard to believe, but the way down is often just as hard as the way up! Nothing short of a pile of rubble! A bit of a drop on either side! Approaching the Solvay Hut at 4000 metres. Guess what else! We’ll be back to finish the job, that’s for sure! Our journey didn’t end there of course. There was still plenty to do and see. Zermatt was just the start to our time in Switzerland! For now however, thank you Zermatt, it has been a pleasure! PS: photo credit to Wolfgang Czermak (my Dad) for some of the photos!